You can now manage your applications, permits and inspections on any device from any location you have internet access. Accela Citizen Access has a new look with easier navigation. The new version of Citizen Access is easily used on all your devices; desktops, laptops, tablets and phones. 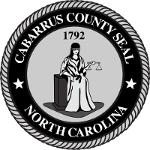 Just go to http://citizenaccess.cabarruscounty.us from your device browser or do an internet search for Cabarrus Citizen Access to find the link.